In 2003, Counsilman-Hunsaker performed a feasibility study to evaluate options for developing a new outdoor aquatic center in Old Settler’s Park. Each approach was analyzed for the required scope of work, programming benefits, and project costs. 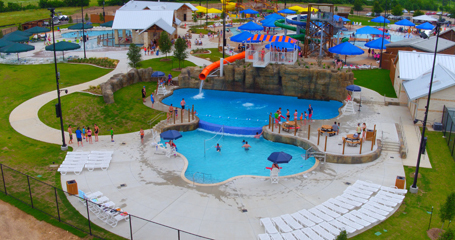 Based on the analysis of the study, the community voted to build a new outdoor aquatic center, which completed in 2006. Over the years the facility experienced overcrowding and the need to expand had become inevitable. 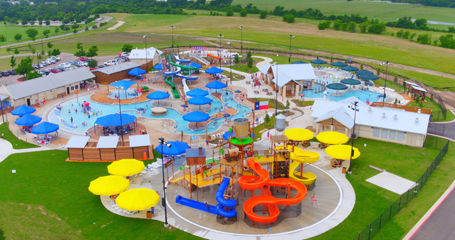 In 2014, the Parks and Recreation Department once again retained Counsilman-Hunsaker for a much needed expansion; making it a premier waterpark. The expansion increased the park’s capacity from 600 to 1,600 guests and was aimed to significantly improve and expand useable program space, and provide upgraded and modernized amenities for the community.